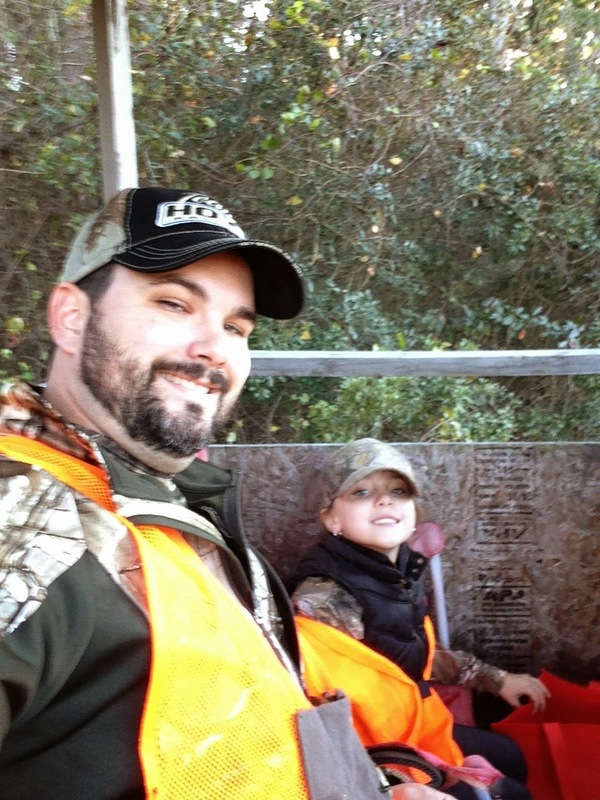 After the first time that Daddy took her hunting, LL had a blast and has asked to go again about a million times. 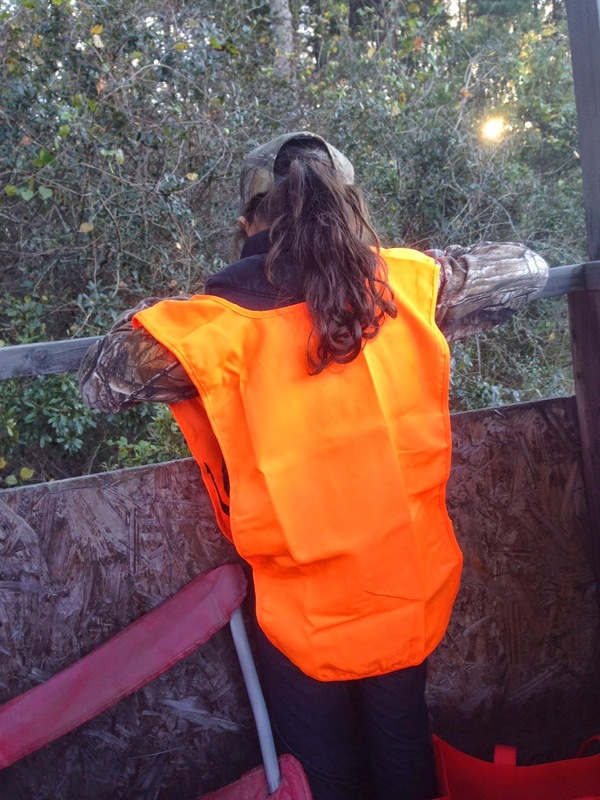 They went a second time and she had just as much fun as the first! Before we went to the FSU game, my sweet hubby bought me a new garnet and gold scarf to wear. 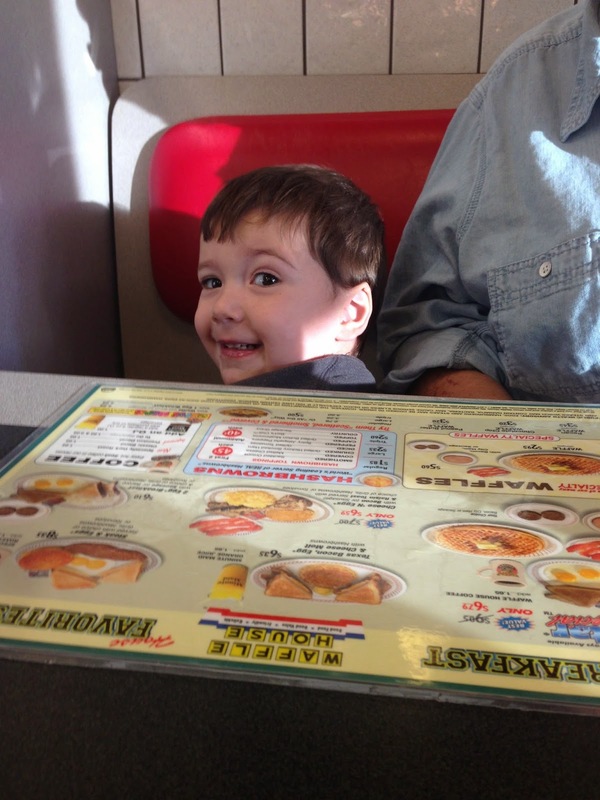 Matt and Cooper met Grammy and Pop at Waffle House for breakfast one morning. Ha! 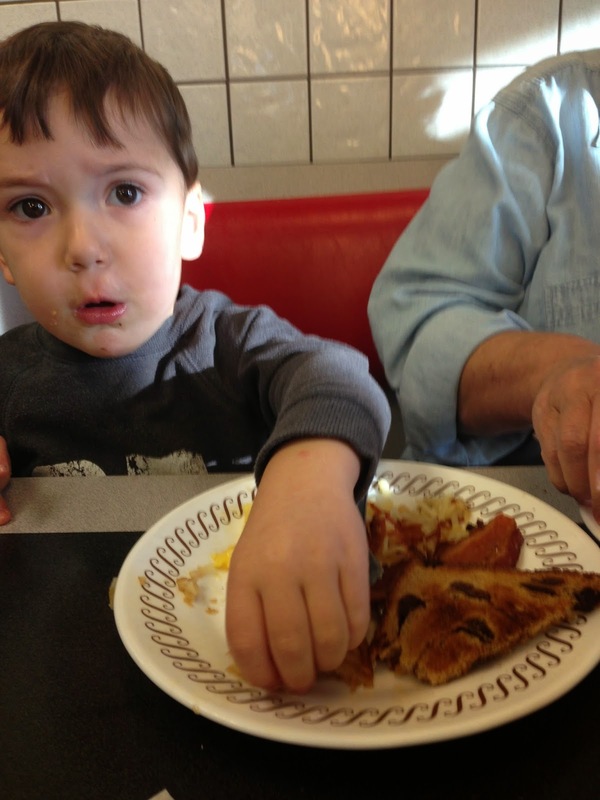 Kid loves to eat! 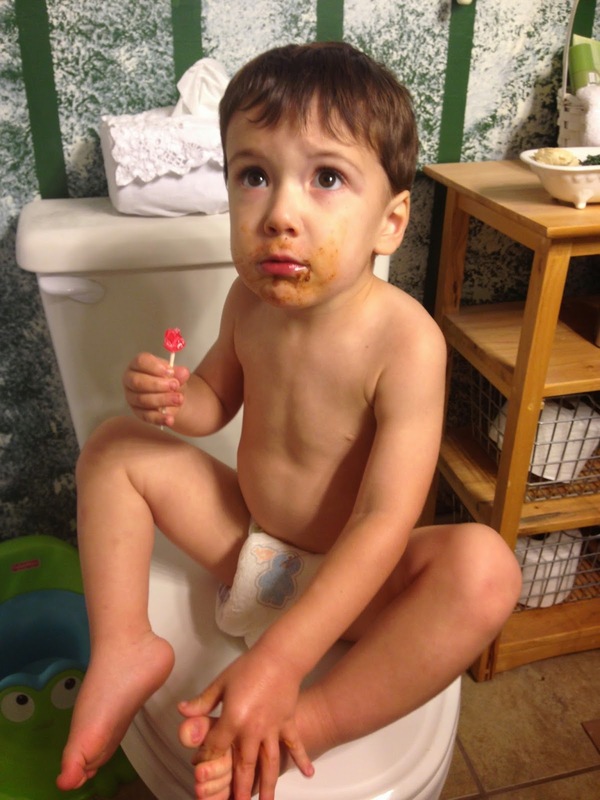 Messy from spaghetti, eating a sucker, and sitting on a (closed) potty. 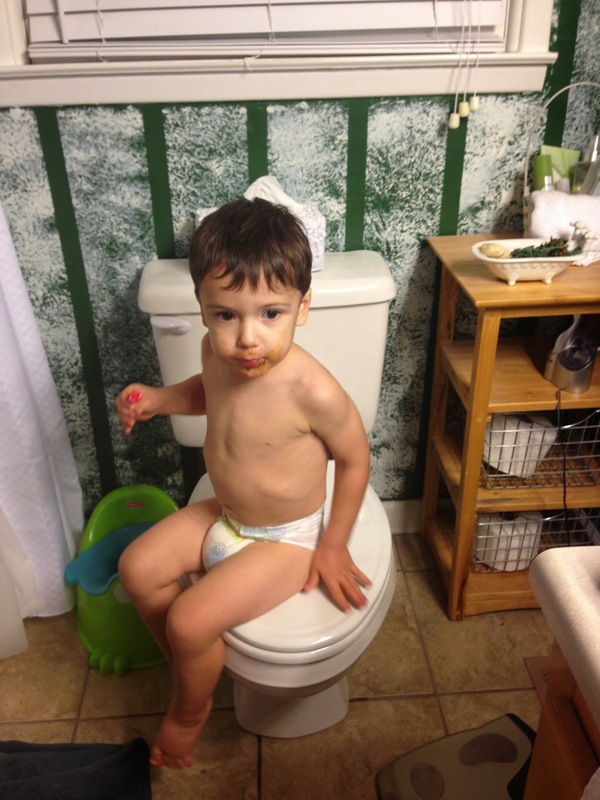 The life of a boy! He and Lola are becoming fast friends. Kayla and I finished a 24 day challenge! We were happy to celebrate with a soda and Mexican food - haha. We went to a swim party at Tiny Bubbles to celebrate Luke's 4th Birthday! 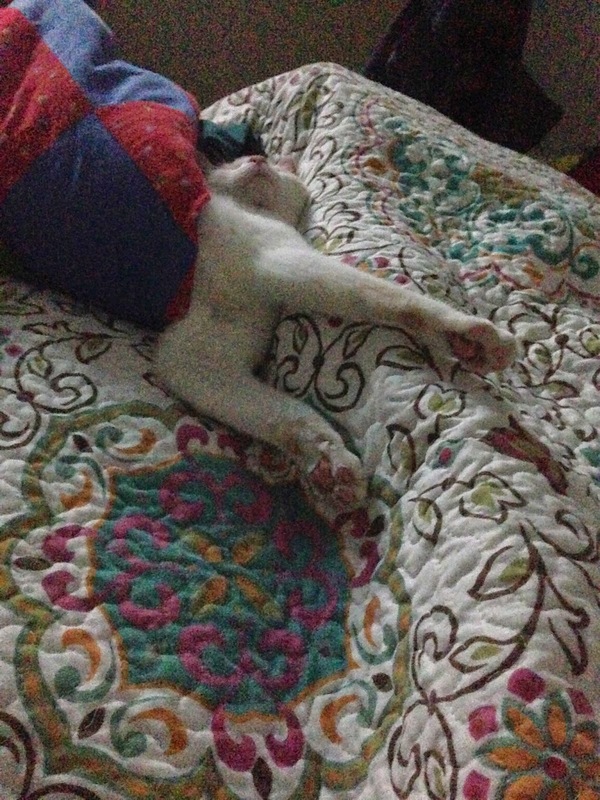 And it wore someone out so much that he conked out as soon as we left. 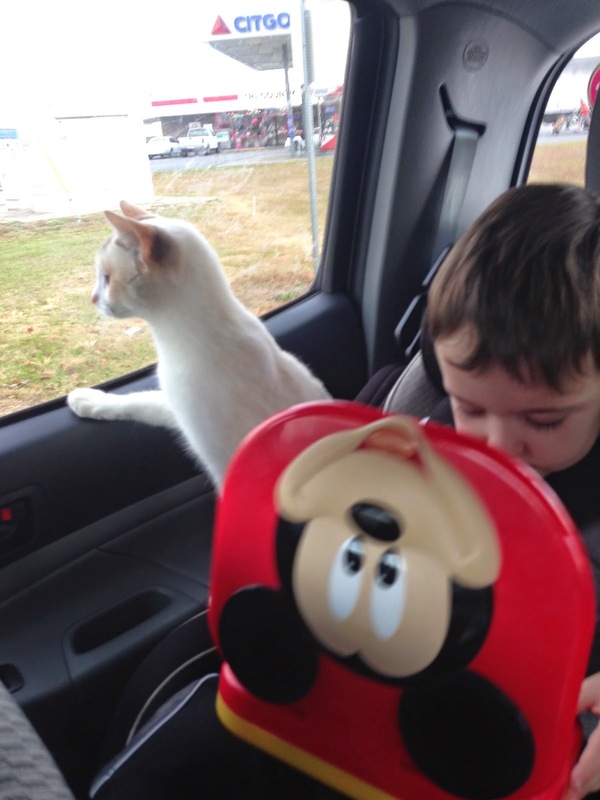 Cooper is a great multitasker on his morning commute: sending emails and entertaining a kitty (who was on her way to get spayed). After Cooper started jumping out of his crib, it was time to help Grammy and Pop get his big boy bed set up! 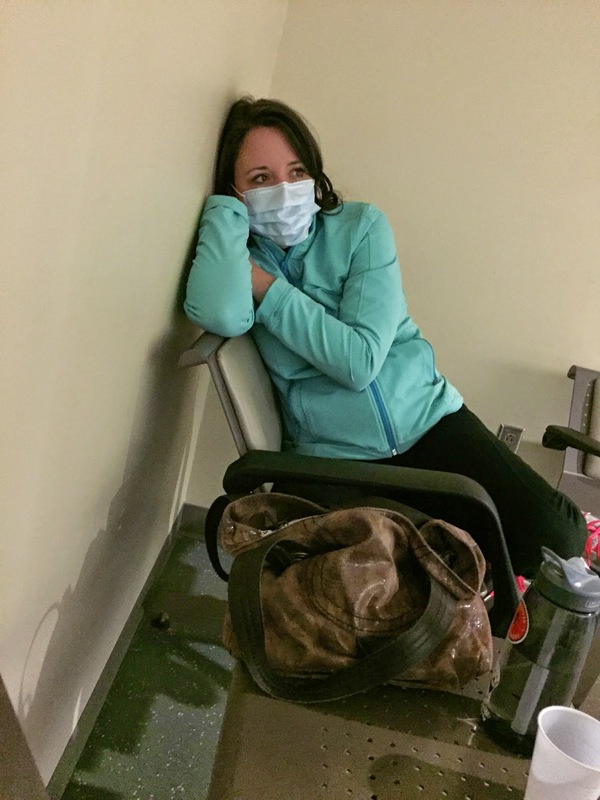 I spent one night with Kayla at the ER (she's fine! ), and we were stuck there for hours. Think 9 pm to 5 am. There were so many sick people and I was not about to catch any of their germs. I don't have time for that. So I asked for a mask and wore it proudly. That's a wrap for November!